This album is only available to purchase for download: the owner of the rights does not wish to make it available for streaming. You can download this album, or listen to 30-second samples in MP3 320. 5 Pelleas Et Melisande: Erster Akt - Qu'en dites-vous? 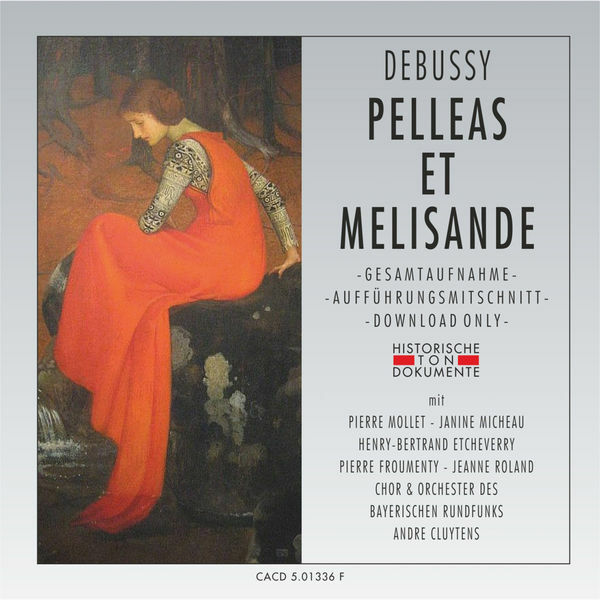 6 Pelleas Et Melisande: Erster Akt - Qui est-ce qui entre la? 19 Pelleas Et Melisande: Dritter Akt - Ah! Je respire enfin! 22 Pelleas Et Melisande: Vierter Akt - Qu vas-tu? 27 Pelleas Et Melisande: Vierter Akt - Pelleas! 33 Pelleas Et Melisande: Fünfter Akt - Qu es-tu? 34 Pelleas Et Melisande: Fünfter Akt - Qu'y-a-t'il? 35 Pelleas Et Melisande: Fünfter Akt - Qu'y-a-t'il?